Nothing makes a home cozier than a wood burning stove. They look great and they produce heat for your living room, family room, dining room, or kitchen. 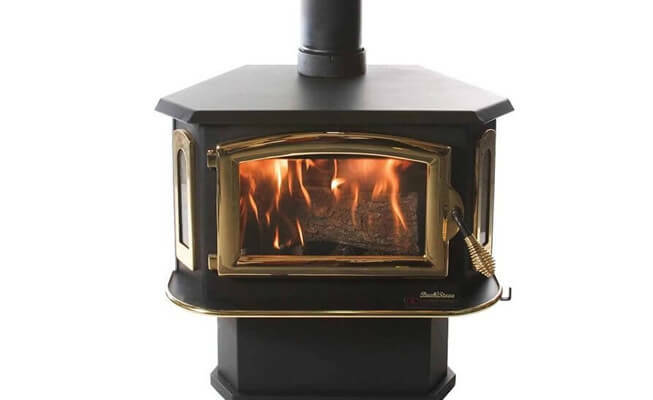 Buck Stove offers a wide selection of Wood Burning Stoves in various styles and sizes, proudly designed and produced right here in the USA. The Model 18 is a highly efficient non-catalytic wood stove designed as a masonry or pre-fab fireplace insert. Use as a freestanding stove with the optional pedestal or traditional Queen Anne legs. The Model 18 is rated at 22,400 BTU’s and can heat up to 1200 square feet (depending on the design and layout of your home). The 17-3/4″ height allows the Model 18 to fit almost any U.L.listed pre-fab fireplace.